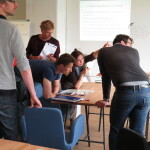 From 18th to 21st of May a methods training event on quantitative and qualitative methods in spatial sciences was hosted at Leibniz Institute for Regional Geography (IfL) in Leipzig, Germany. 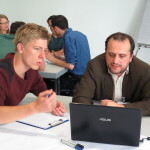 During the four-day training event 16 RegPol² fellows deepened their knowledge on methods relevant for conducting research on issues of regional polarisation and peripheralisation in Central and Eastern Europe. 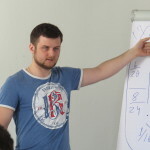 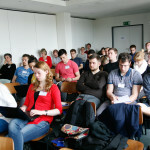 Experienced researchers and practitioners from IfL (Leipzig, Germany), CERS-HAS (Békéscsaba, Hungary), University of Szeged (Szeged, Hungary), Eurofutures (Finland) and Babes-Bolyai University (Cluj-Napoca, Romania) offered a broad range of seminars, keynote lectures and interactive sessions. 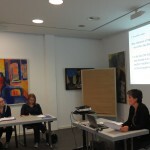 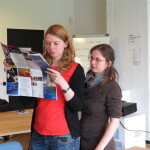 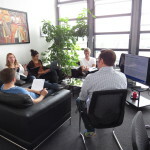 Moreover, PhD students researching at the Graduate School Global and Area Studies at Leipzig University joined the training event. 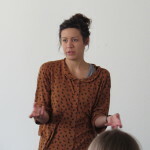 Guest lecturer Catherine Perron, political scientist at Sciences-Po Paris, asked the young academics in her keynote lecture to critically analyse the current discourse on regionalisation; findings from other parts of Europe should not be transferred to studies on Central and Eastern Europe without thorough examination. 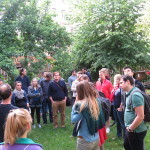 Judit Timár (CERS-HAS) focussed upon passing on practical skills by sending the fellows outside to conduct participant observations. 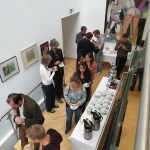 Furthermore, the event provided a platform to discuss and further advance the use of methods in the individual PhD-projects in a “market of methods”. 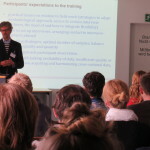 Topics were linked to transnational comparative research, the use of statistical methods to map processes of polarisation and peripheralisation, qualitative interviews and group discussions. 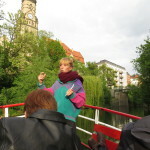 Two excursion through the East and West of Leipzig completed the programme of the event. 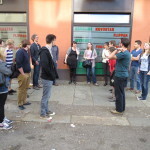 The fellows explored how two city quarters have been facing urban decay and how they were revitalized in recent years. 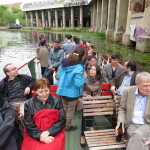 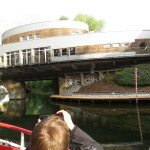 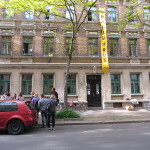 Vacant houses, investors, the creation of green spaces and community initiatives were central issues during a discussion and tour with urban planners along Eisenbahnstraße and a boat trip on Karl-Heine-Kanal. 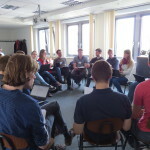 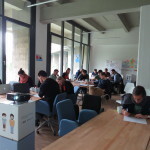 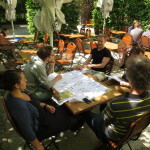 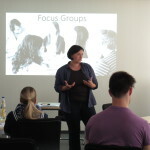 In October 2015 RegPol² members will meet in Leipzig again for the second RegPol²- School where the fellows will present the current state of their research.